Probably the most famous vegetable in the world is onion. 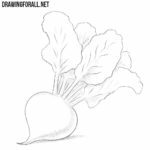 This vegetable can be found in many dishes around the world. 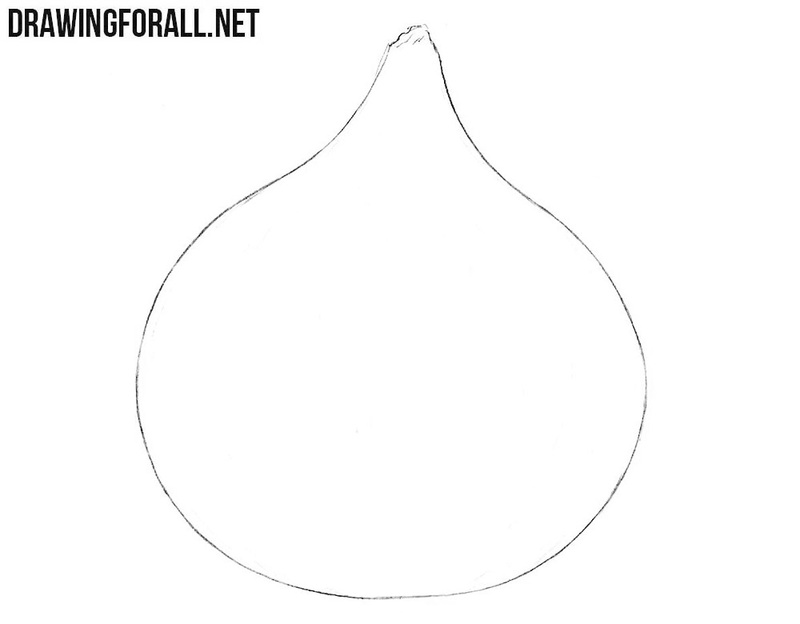 In this drawing tutorial we will show you how to draw an onion. 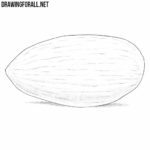 In the first step of the drawing lesson on how to draw an onion we outline a simple oval or a circle using very light lines. 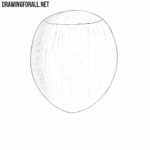 Now sketch out the upper part of the onion with the help of two slightly curved lines that converge at the top. Take an eraser and remove all unnecessary guidelines. Next, using clear lines, carefully draw out the outlines of the onion. 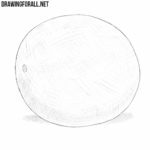 Here we draw the texture of the onion. 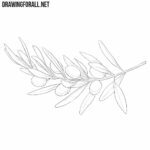 We will do this using slightly curved vertical lines. These lines should not be the same. Let’s now make our onion more voluminous and realistic, drawing shadows on the onion and the cast shadow on the surface under the onion. Another lesson about vegetables on our website was devoted to how to draw an onion. 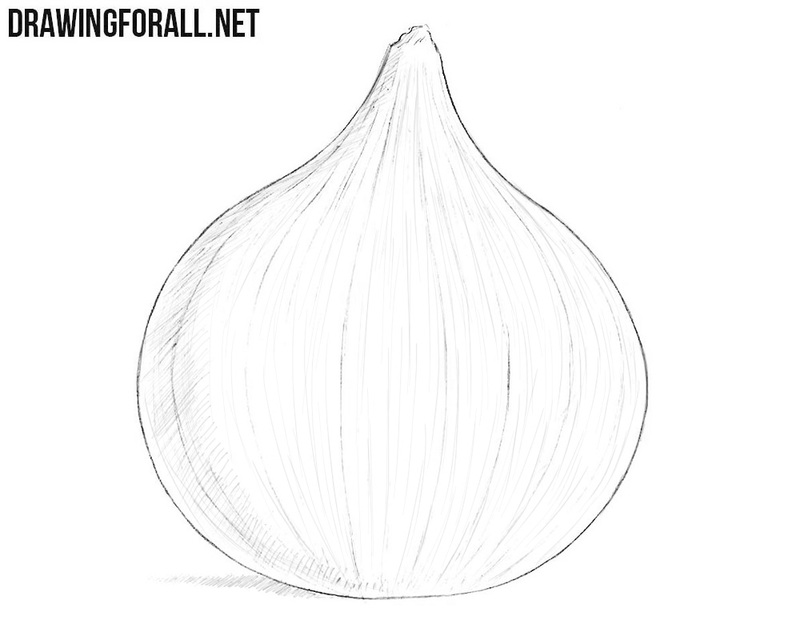 If this lesson was useful for you, then visit the lessons about a garlic, potato, sweet cherry and other products in the “Food” category on drawingforall.net. 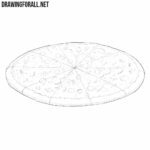 But perhaps you are not interested in drawing vegetables or fruits, and you want to learn how to draw cars or comics, in this case, visit other categories on our website.